Hajera, a young lady battling one of the rarest kind of cancer, Ewing Sarcoma, a disease in which cancer cells are found in the bone (especially collar bone) or soft tissue. 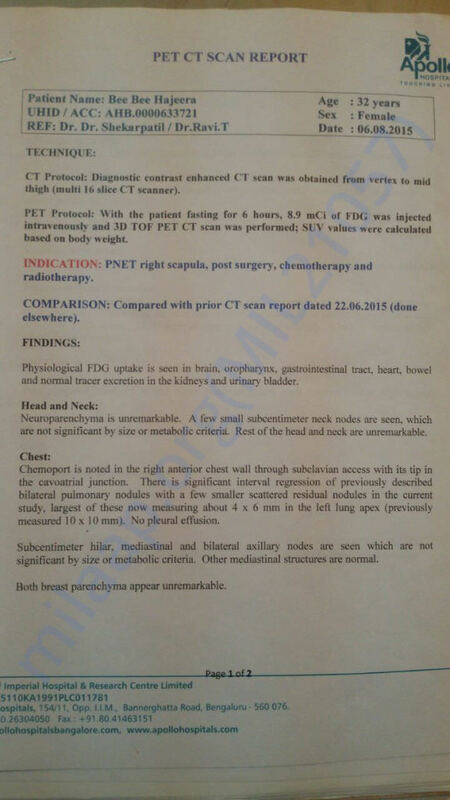 After undergoing Chemotherapy and surgery, her Cancer has relapsed and now spread to her stomach. She is surviving on liquid food and suffers from clenching pain. Having a son of just 12 years old, she yearns to be there for him. Her husband, Zakir, works in Hindustan Lever to meet the family's needs. With their son's education to fund for along with coping up with the huge medical expenses, this little family is struggling to make both ends meet. 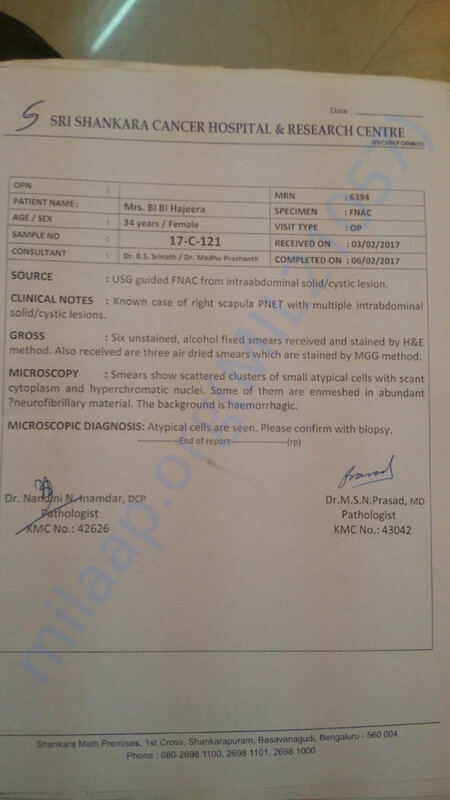 For authenticity of this post her scans and reports are attached below. We request all of you to kindly contribute for this noble cause of helping her family during these testing times. Your smallest donation could also be of massive help to them and most importantly please pray for her health and survival. Let us pray for that kid who might be undergoing a mental trauma seeing his mother in this pain. Let's contribute and help her together. Because remember, "Drops make an Ocean" guys !!! 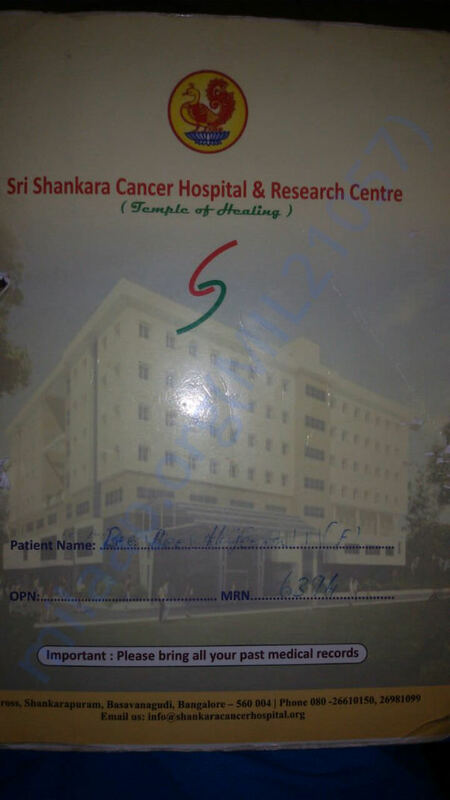 Hajera's husband has sent me her Death Certificate as well as 2 bills which he had paid as 'Advance' to 'Sri Shankara Cancer Hospital & Research Centre'. These bills are dated in 2016, prior to the commencement of this campaign. As he still has few more local debts to pay which he had taken during his wife's treatment. 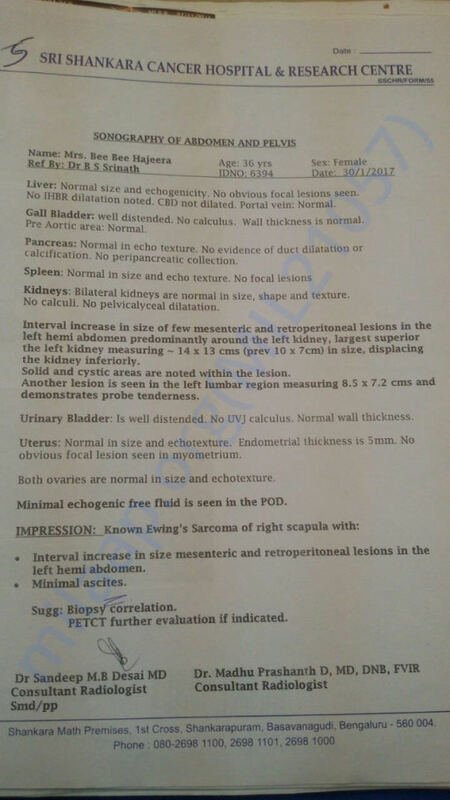 Also he has confirmed me that he is fine with the rest of the amount i.e (Amount available for withdrawal- Rs. 65,000) to be transferred to some other campaign running under Milaap. I write this with a heavy heart to inform you that Hejera left us on the 7th of March. She had been responding quite well to her undergoing ayurvedic treatment but destiny had something different in store. On behalf of her entire family I personally thank you all for being a part of this campaign through your contributions and prayers. Kindly continue to pray for her family and especially her 12 year old kid who has lost his mother at a young age, may God ease his pain. May Hajera's soul rest in peace. 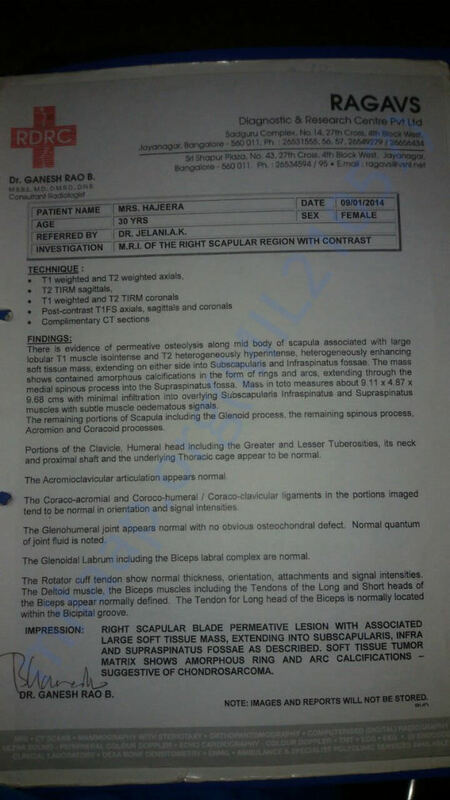 Hajera's treatment is expected to continue until the end of March. She seems to be recovering and responding pretty well to her current ongoing treatment, her stomach inflation has reduced. Kindly continue to support and keep her in your prayers so that she can fully recover with Ayurveda by March. 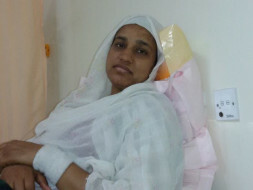 Thanks from Hajera and her family for all the support through prayers and finance.